We have been working with a number of different organisations and projects to support them to use the co-production project planner. One thing that we often discussed is trying to navigate the number of different tools that are available to us when we are facilitating co-production. I find that often I am drawn to using a suite of tools that make up the character tools. These tools support the development of fictional characters who have simialr lived experience to the people in the co-production team. The characters act as a sum of all the groups experiences and can be used throughout the design process to refer back to and bounce ideas off. Characters can be developed for different roles – you could create a character for each member of a team or for each stakeholder in a situation. This exercise can reduce pressure on those with lived experience in the group to share their personal stories as they can feed these into the characters story rather than having to disclose their own experiences. In the production pack there are a number of tools that are character based. These include character profiles, pathway mapping comma consequences characters, character journeys, and conversation reflections. based on my experience of facilitating the Living Well Project as part of the Pilotlight Project I will try to explain how I use these tools in practice and how you could do the same. The Living Well Project explored how SDS could be better implemented to support choice and control for people with early onset dementia living in South Ayrshire. The co-production team included people with lived experience of early onset dementia diagnosis, their carers and family, social workers, community psychiatric nurses, day services and other private services, and third sector organisations. One of the challenges we had in this setting was that some people with lived experience face multiple barriers to sharing their experiences. We also faced the challenge finding solution for ‘problems’ that felt quite entrenched in the systems and between professional services. We used to character tools to break down barriers between people and allow us to create a picture of what it truly means to be diagnosed with early onset dementia and how services can meet the needs that arise. We began early on with our first exercise consequences characters. Character consequences is an activity that can be completed before developing characters or personas as a way of loosening up the groups creativity and introducing the idea of a fictional character. 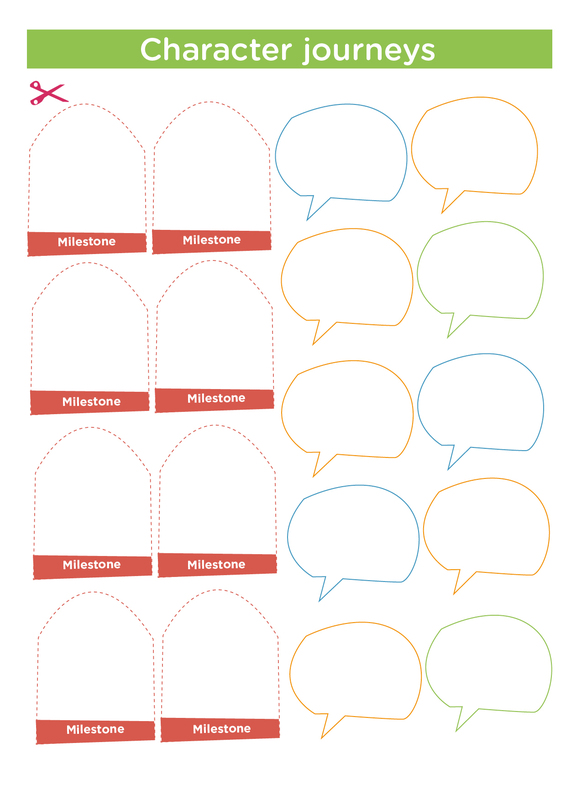 It is a good tool to use as a warm-up exercise Icebreaker or precursor to building a persona or character as a group. the idea is that by doing this simple exercise you collect some raw data that can be built up into a fuller picture. It is also fun. In the living Well project we decided to use this exercise to create a picture of a person who had a diagnosis of early onset dementia. It could equally be used to build a picture of a staff member or Another person involved in the car production team. While the main focus for people is often trying to get their drawing skills in order, this exercise also encourages people to think about what their character is thinking, what they know, how they feel, and what they stand on. In our next co-production workshop we looked back on our consequences characters and used them to fill out character profiles. This tool puts a bit more meat on the bones of the character. I asked the group to think about who the character is; their name, age, where they live, what their home is like, what the average day looks like, who they spend time with and what they enjoy. Remind the group that this is a fictional character – you can reinforce this by locating the character in a fictional world such as a soap opera or novel. In the Living Well project we emerged out of this process with 4 different characters which we then used to follow through into the next exercises. Once as a group we knew our characters well we could move onto mapping out their journeys using the character journeys tool. 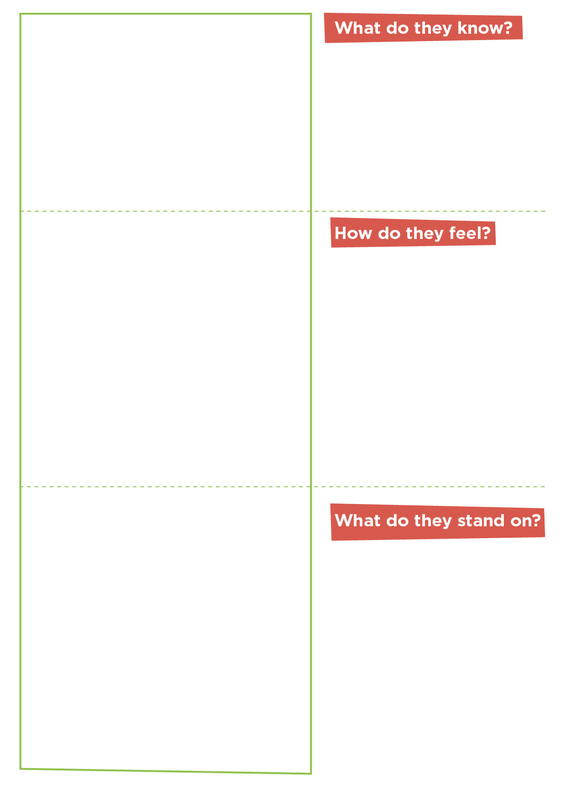 Journey mapping gathers in-depth information about specific points of a character journey. It helps the co-production team understand things from the characters perspective and identify which services or support interventions are required. 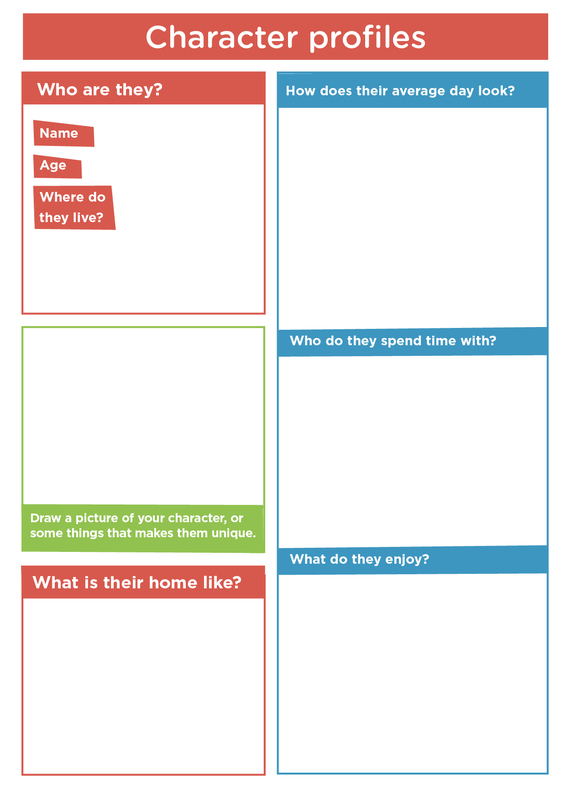 Character journeys work by identifying milestones in a characters experience. In the Living Well context this included things like noticing symptoms, telling friends and family, visiting the doctor, leaving work and starting treatment. The milestones are placed along a timeline and then the team has a chance to reflect on the emotional impact of these milestones by adding post-it notes which identify at which point things went well and at which point things could have been better in this journey. Some of the milestones in this journey that are identified will be complex pathways in themselves. For example visiting your doctor and being referred to your psychiatric nurse was presenting a range of stumbling blocks in the Living Well context. This meant that in the next session we moved onto using the pathway mapping tool which allowed us to zoom in on specific situations that our character was experiencing. This tool is more solution focused and allows the team to start thinking about the way that things could be improved. We visually mapped the different services that people were coming into contact with in this situation. 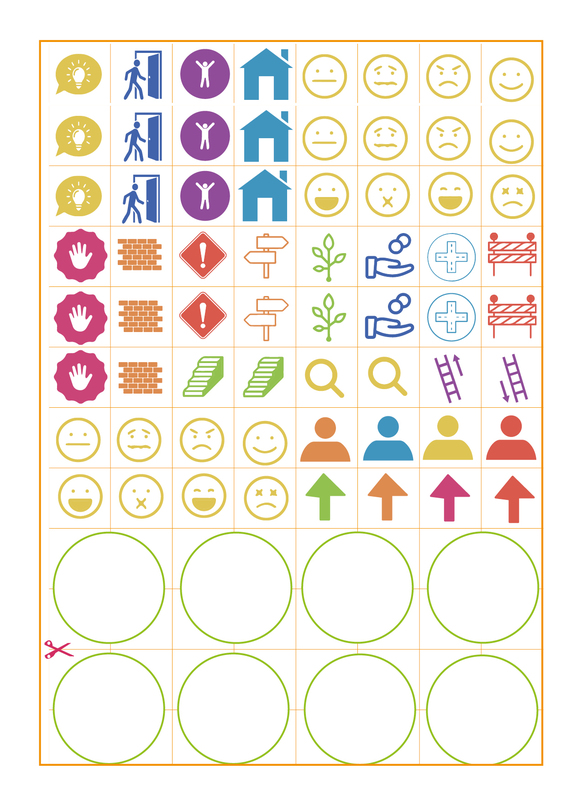 We thought about the barriers and enablers and visualised these using icons.We also used this as an opportunity to identify where conversations were happening and how they were happening in a character journey. This then lends itself to using the conversation reflections tool which helps people to reflect on their previous conversations, feelings and processes. It can also be used to plan ideal future conversations. This then created a blueprint for improvement and allowed us to move on to other design tools such as solutions in practice, priority matrix, problem solution and ranking, thinking hats and tomorrow’s headlines. Using characters can be a really effective way of bringing your co-production team together to work with shared vision. It is also fun and creative and the team generally responds well to these exercises. It also provides you with rich insight into the experiences of people and can be used as a training tool. I have supported and seen the use of this approach in a number of different settings including working with young people, people newly arrived to Britain, and older people. 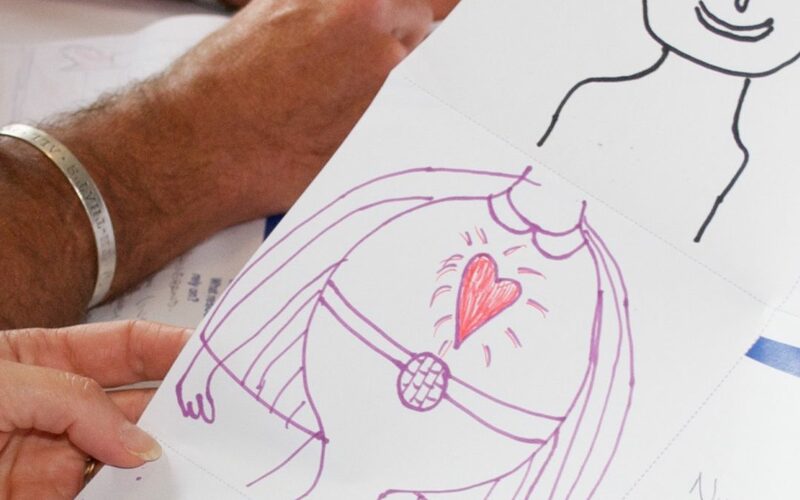 In the Living Well project we went on to create a bespoke supports training pack for staff based on our characters and also used them to do things like create personalised budgets. I hope you have found this helpful in understanding how to navigate the number of tools in the co-production project planner. if you would like more information about using tools in social services practice please explore the Iris on insert link which is full of helpful information. Feel free to get in touch with me to discuss how you might use tools in your project to support your production process.